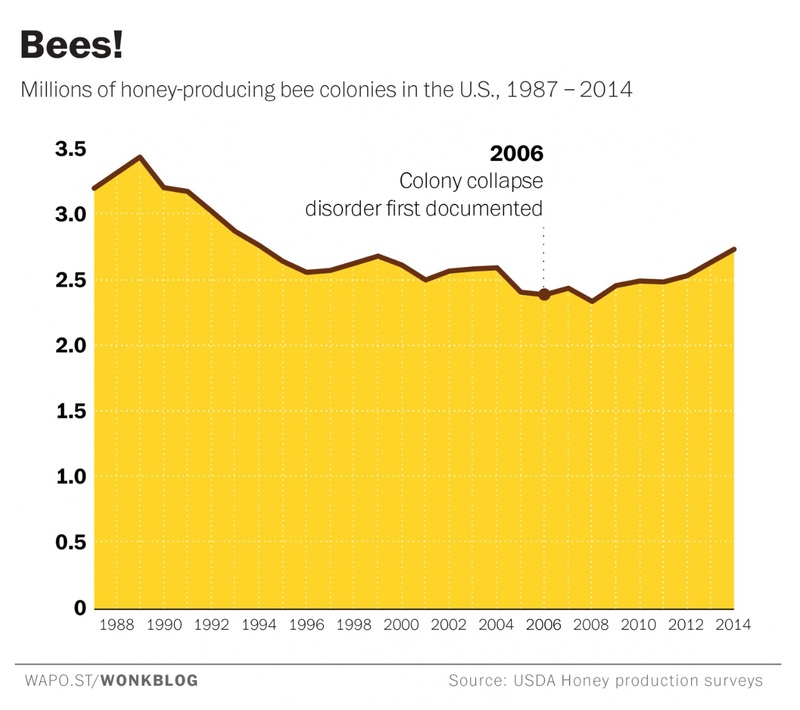 As you can see, the number of honeybee colonies has actually risen since 2006, from 2.4 million to 2.7 million in 2014, according to data tracked by the USDA. The 2014 numbers, which came out earlier this year, show that the number of managed colonies — that is, commercial honey-producing bee colonies managed by human beekeepers — is now the highest it’s been in 20 years. So if CCD is wiping out close to a third of all honeybee colonies a year, how are their numbers rising? One word: Beekeepers. A 2012 working paper by Randal R. Tucker and Walter N. Thurman, a pair of agricultural economists, explains that seasonal die-offs have always been a part of beekeeping: they report that before CCD, American beekeepers would typically lose 14 percent of their colonies a year, on average.